The basis of Western thought and, indeed, our educational system can be attributed to the Greek philosophers: Plato, Socrates, Aristotle. One of Socrates--most enduring concepts, the importance of self-knowing and self-perfection (know thyself), has been echoed throughout Western literature and has many reverberations within Eastern thought. 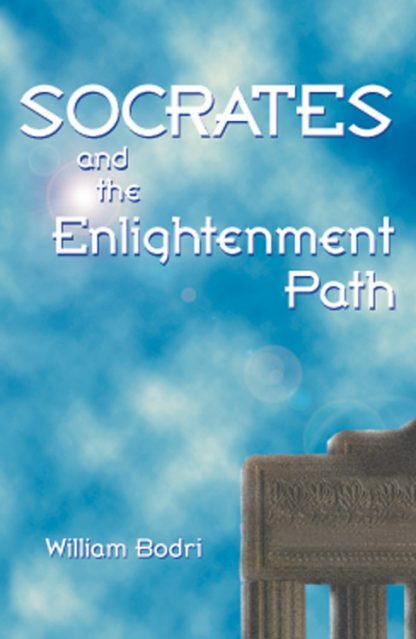 William Bodri shows that Socrates had attained a spiritual stage called samadhi, satisfying the requirements specified in Buddhist systems of one who had attained enlightenment. Bodri points to the comparisons and contrasts between East and West, illuminating both Buddhist and Socratic thought. Using Socrates as an example, Bodri calls for the broadening of our Western ideas of learning to encompass spiritual knowing. William Bodri is an interfaith consultant who has developed an expertise in Asian philosophy. He has degrees in Engineering, Business Strategy, and Nutrition. He is the co-author of 25 Doors to Meditation.